AirPlay has never struck me as a useful home audio solution. I could play music over a speaker or over my AppleTV, but I couldn’t do both at once. 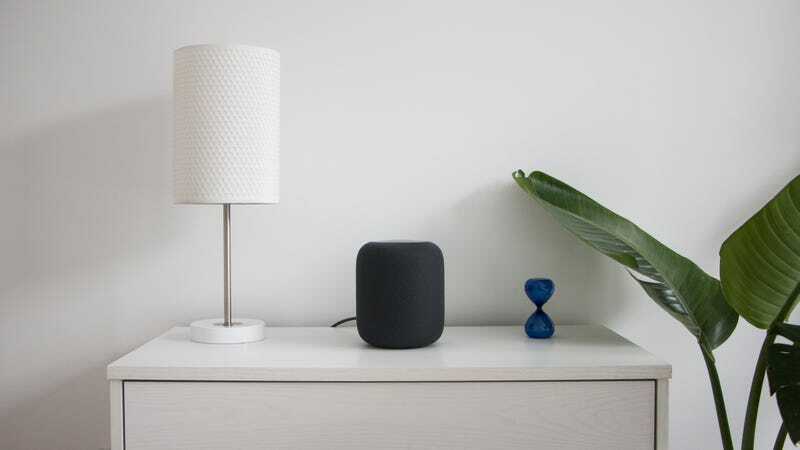 With the launch of AirPlay 2 back in May, however, Apple allowed the HomePod and other AirPlay devices to function more like a Sonos system. You can pair multiple speakers together and stream the exact same thing – whether it be audio from your laptop or music from Spotify – to every AirPlay device. And for an Airplay speaker, the HomePod exists at a unique price point. Before the HomePod, speakers that supported AirPlay fell into two categories: speakers so cheap that they’re worthless and speakers so expensive that they’re pointless. At £320, the HomePod settles into a middle ground price-wise, although you could argue that it sounds like a more expensive speaker. But few of additional features, feel practical. The microphones on the HomePod might be able to hear me mutter Siri – or other Siri sounding works, like serious and Peri – but I’m told I sound terrible on phone calls. Worse than either my cheap earbuds, or my Apple Watch (my mother declared, before the HomePod, that the Watch had the worst microphone of anything I’ve called her on). And I can only forward calls to the HomePod, I can’t actually shout out the desire to phone a friend – the HomePod doesn’t support making calls. It can only receive them. Which becomes less appealing when AirPlay starts to skip and cut out, as it has done a few time in the last few months. So why should I go all in on AirPlay and the HomePod instead of using the Sonos One I already own? The Sonos One has Alexa built in, and Google Assistant is promised to come shortly. It nicely handles music over wifi vida the Sonos app. Plus, as of July 2018, the Sonos One supports AirPlay 2. It can’t handle phone calls, but the Sonos One can do nearly everything else the HomePod can do for £120 less. It even has a richer and more detailed sound quality! So yeah, the HomePod is gorgeous, and AirPlay is often times fantastic, and Siri seems like... a thing that might become a useful thing one day. But the HomePod is still not worth its price – especially, when the Sonos One is so good and so cheap.